Universal design is a steadily growing trend in the home improvement space. As a bathroom remodeling company with clients representing a wide spectrum of demographics, we at DreamMaker Bath & Kitchen love how universal design reflects our own deep respect for people. What Is Universal Bathroom Design? Before we get into universal bathroom design, let’s define universal design. They go on to explain that it isn’t a special requirement meant only to benefit a minority of the population. It simply about meeting people’s needs—no exceptions. That’s why we like to think of it as “common sense” design! What Makes a Bathroom Universal? 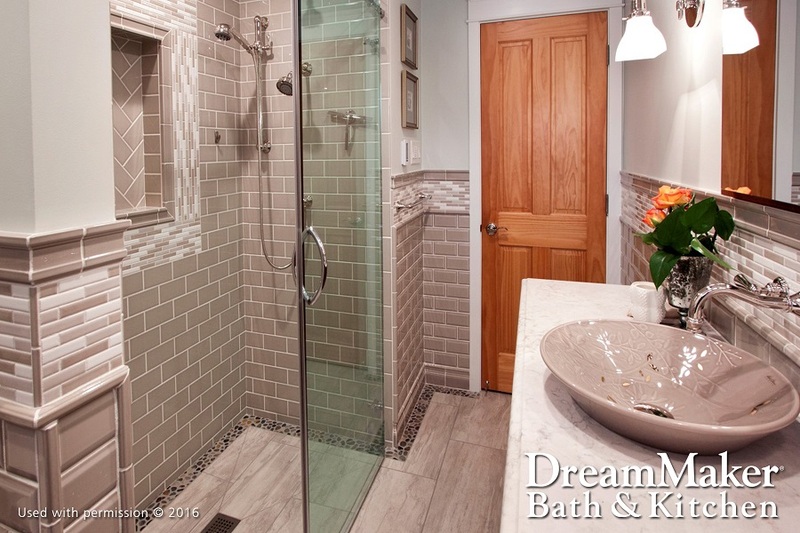 Partner with DreamMaker Bath & Kitchen of Northeast Suburban Chicagoland to create your own universal bathroom. We are dedicated to building safe and functional spaces in your home. Feel free to ask us questions about bathroom design, safety and mobility features, custom cabinet options and more. Call (847) 327-0203 today or request an appointment through our contact form. We look forward to working with you!